MORE DIGITAL ISSUES TO COME! 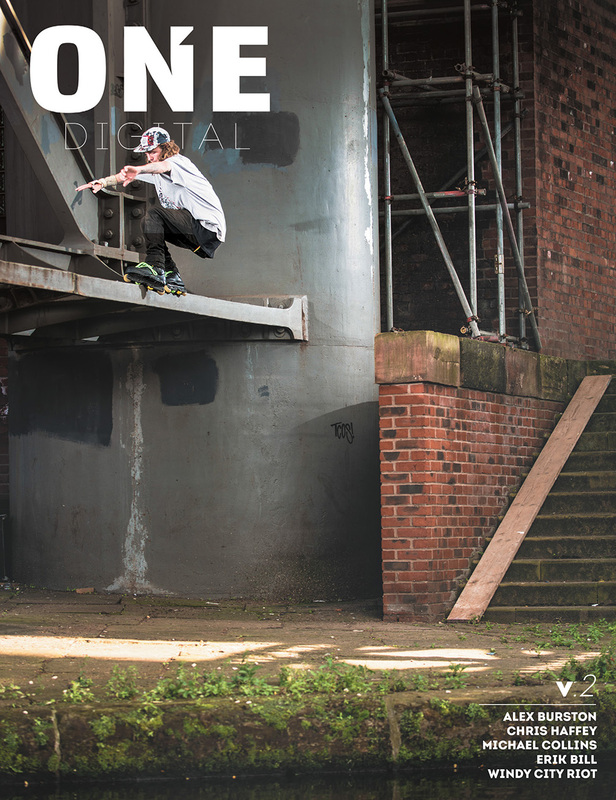 Welcome to a new reality for ONE magazine and rollerblading media. 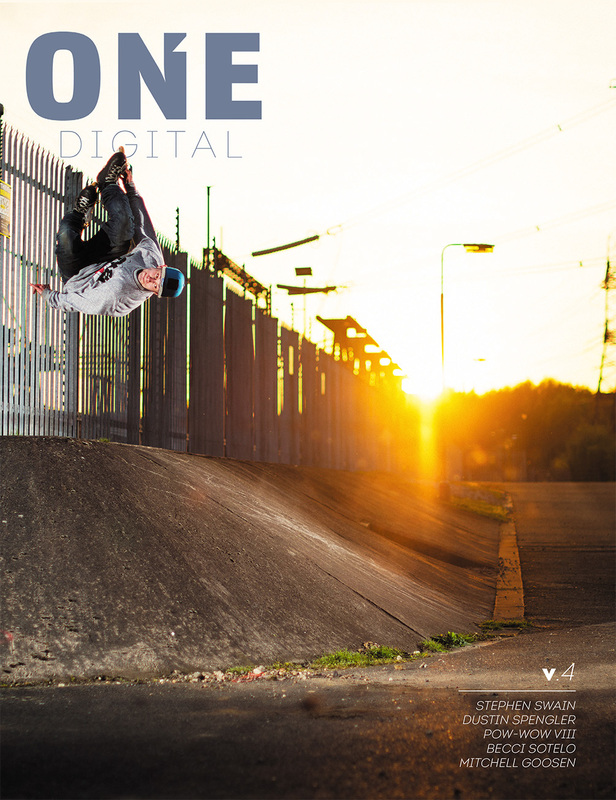 Today, starting now, ONE Digital will provide all-new, print-quality content for FREE. To deliver this content to you and all the digital devices in your life, we’ve decided to use the Issuu.com platform. It’s not perfect, but whether you exist in the Apple iOS sandbox, use an Android or Windows 8 smartphone, or even just want to use the browser on your computer — Issuu is accessible. And it’s getting better all the time. Expect improvements and new features to show up regularly in the Issuu environment. Example: in a few days live text translation will be available via the Android Mobil App. But mostly, Issuu is a pre-existing technology that allows us to concentrate on the important stuff — publishing the highest-quality, most diverse blade coverage from around the world. And that’s why ONE Digital exists. We look forward to bringing regular blade media to your favorite device, and allowing all fellow rollers and readers the chance to see what we’re doing free of charge. So there you go. That’s ONE Digital. Take a look through this inaugural issue and enjoy the contributions from our writers and photographers. Click on the ads and enjoy live links straight to their websites. Take advantage of special offers with unprecedented ease. Most importantly, get used to more. Sometimes less is more — but not when it comes to magazines. Thanks to everyone for their hard work and patience in bringing this new horizon to life. We couldn’t have done it without you. Whoa, Steve Thomas article was legit! Good writing about someone who was a major influence on us older guys. Thanks for helping us get to know him. Nice work! Cant help to wish this was on print though…long live periodicals! Not sure how I am going to put this in the TW Blade Museum. Tracy: print it out as a pdf, there’s a link on this page: http://www.oneblademag.com/magazine/digital-issues/v1/ (right hand side, ’bout halfway down). Consistently the driest, most conservative magazine- period. I’d much rather read an issue of Garden & Gun. I like it. I’m not interested in all the soap opera bs, I just want to see some sick photos and read a bit about the dudes doing the shredding in the photos. Superbly produced freemium aggressive inline rollerblading content. Gotta love it! http://hedonskate.com ships there ,Jontue. They’re based out of Europe and they’re really awesome guys who are worth supporting. Several other American-based shops will ship there too. Otherwise try a Google search for “Buy Aggressive Skates” and email one of the shops directly. Give credit where it’s due gentlemen. Nice to see you’ve stepped into Issuu.